Trees add beauty, character, and value to your property. Yet, due to their massive size, maintaining them can be overwhelming for many people. If you have trees on your property and you need help with them, contact us Tree Service Express. We handle anything and everything related to trees. Do you need some simple pruning? We can help with that! Do you need help cleaning up after a storm? Give us a call! Do you have an unusually large or awkwardly positioned tree that poses a unique challenge? We’re up to the task! No matter what your need—no matter how small or how large the job—we are here to offer our services. 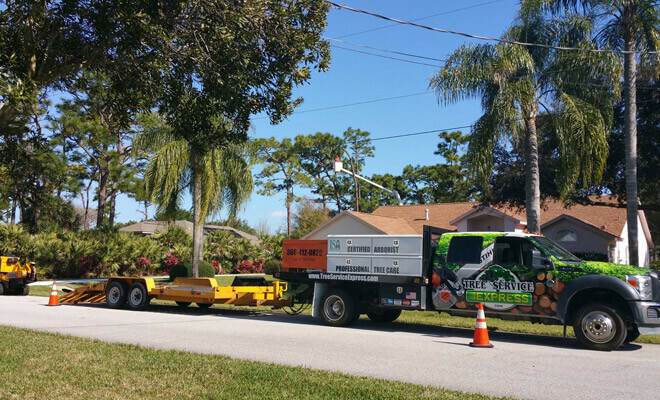 When it comes to trees, there is only one name you need to know in Palm Bay, Florida: Tree Service Express. Properly pruning a tree involves more than getting a saw and a ladder and making some cuts. A qualified arborist knows how and where to make the cuts, what kinds of cuts to make and what types of things to avoid. A tree that is not pruned or trimmed can grow into something that is full of disease, insects, and even rot. In contrast, a properly pruned tree will be shapely, healthy, and much safer. If you have trees, you need to have them pruned by a professional, period. There is no way around it; neglecting to do so can have expensive and even dangerous consequences. Fortunately, we at Tree Service Express are experts at pruning, and we know all about the necessary cuts to help your trees grow into something majestic, and remain healthy while they do it. Sometimes it is necessary to take out a tree. This can be due to any number of things: disease, damage from a storm or some other source, or simply a change in the use of the land. Whatever the reason, when you need to have a tree removed, give us a call. Removing a tree is a very dangerous activity if you are not trained and qualified to do it properly. Many people have attempted to do this on their own, only to end up paying more in repair bills than they would have paid just to have a professional remove the tree. If you have a tree that you need to have removed from your Palm Bay property, we can help. We have the training, equipment, and experience to get the job done quickly and safely. Call us and let us tell you what we can do. As a tree grows, it may sometimes develop some issues that can become dangerous in the event of a storm. Branches that have grown too heavy, oddly-shaped forks, and other issues can become a problem when a storm comes. A trained arborist will be able to look at a tree and determine where the potential trouble spots are, and what can be done to reduce your risk. We can help take proactive steps now to keep your trees healthy (and your property intact) when storm season comes, saving you not only valuable time but money as well. When a storm does come, it can hit your property with unparalleled fury. In Palm Bay, the weather is usually balmy and beautiful; however, when a storm does hit, the devastation and destruction can be significant. If you have limbs that have been knocked down by a storm, or trees that have been damaged and need emergency attention, the professionals of Tree Service Express are here to help you. We can be at your home in short order, assessing the situation and determining how to begin cleaning up the destruction. Occasionally part of or the whole tree may get sick, an unfortunate circumstance that will ultimately leads to its death. This can be due to damage from a storm, an insect infestation, a tree disease or some other reason. Sometimes it is a specific part of the tree in comparison to the entire tree, when this happens the tree can become an unattractive sight on your property. In addition to looking bad, sections that are dead or dying can be dangerous. Dead branches tend to fall, and even if they don’t, they can become a haven for insects. As such, dead wooding is required. Dead wooding is the practice of removing a dead (or dying) section of the tree while leaving the healthy part intact. We are skilled at this practice, and we are happy to come out and give you an estimate on getting your tree(s) dead wooded. Another service we can provide is helping to keep your gutters clean and flowing freely. Over the course of the year, leaves, twigs, and other debris can accumulate in your gutters. This can impede the flow of water and lead to water damage on the property. If your gutters are becoming clogged, call us. We can help restore them to their full function. Finally, if your roof has been in place for more than a few years, you probably need to have it cleaned. You may not realize it, but a roof can become covered with dirt, algae, and other things. Far from merely being an aesthetic issue, this is something that can lead to damage to the roof and the building itself. At the same time, an inexperienced roof cleaner can cause significant damage. If you attempt to clean your roof on your own, you run the risk of injuring yourself or damaging the roof. We at Tree Service Express know all there is to know about keeping a roof clean and functional. If your roof has started to collect dirt, leaves, and other debris, give us a call. We can come out and inspect the property. While we are there, we will give you a quote for your roof cleaning, or for any other tree services you need. 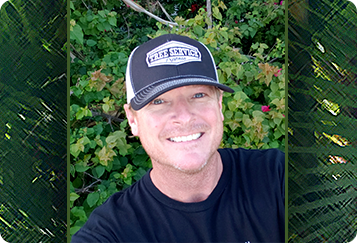 At Tree Service Express, we are proud of our reputation as the leading tree care company in the Palm Bay and surrounding areas. Contact us today, we appreciate the opportunity to earn your business! Call today or click the button below to schedule your free quote today!